Knowledge on staging support, on-site event registration etc. 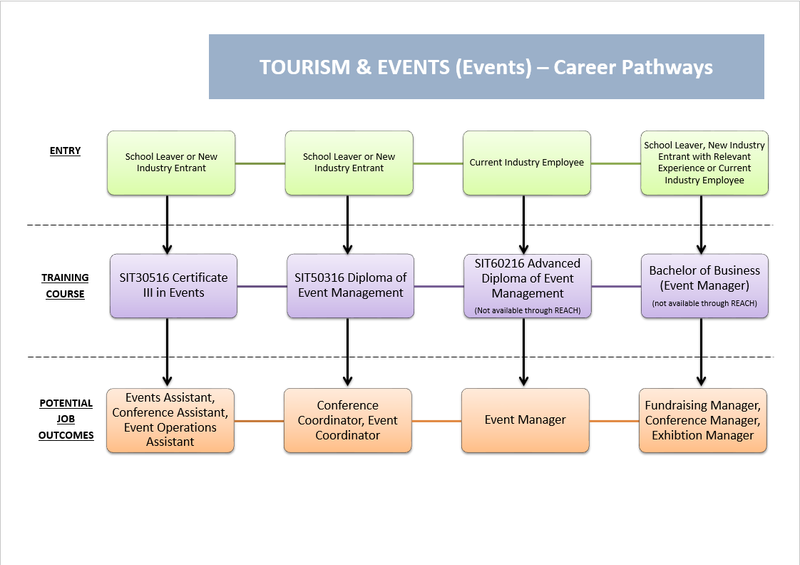 Work Placement: 80 hours minimum work placement within an Events industry is compulsory for this qualification. Work Placement Insurance will be provided by REACH for Training. This qualification may be delivered as a traineeship program.